Birmingham Bach Choir and the Archbishop of Birmingham will celebrate the work of two Elizabethan greats at St Chad's Cathedral on March 24, 2018. 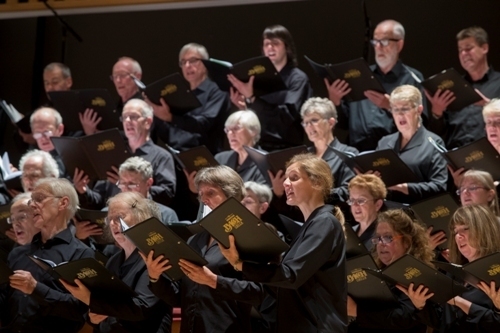 The event will feature the choir's performance of composer William Byrd's The Great Service and the motet Sing Joyfully, alongside a selection of Metaphysical Poet John Donne's enduring Holy Sonnets read by Archbishop Bernard Longley. William Byrd (1539/40-1623) was an Elizabethan trailblazer, taking English music to newfound heights. Believed to have been written at the turn of the 15th century, his 'Great' Service earned its nickname due to its monumental scale and ambition. Composed by a (secret) Roman Catholic for a Protestant Queen, in a time of severe religious persecution, a complete performance of The Great Service is a rarity. Though born a Roman Catholic, John Donne (1572-1631) reluctantly joined the Anglican Church, eventually becoming Royal Chaplain to James I. An accomplished poet, now revered, his Holy Sonnets are thought to have been written around 1610, though were not published until after his death. Compelling, personal, passionate, powerful, and with an innovative use of imagery and rhythm, the sonnets examine themes of divine love, doubt, sin, grace, redemption. Archbishop Bernard Longley (pictured above) will read the Holy Sonnets. One of the UK's most senior Catholic clergy, he was appointed by Pope Benedict XVI to be Archbishop of Birmingham in 2009. A musician himself, he studied at The Northern College of Music as a singer and was also a student at New College Oxford before entering the priesthood. 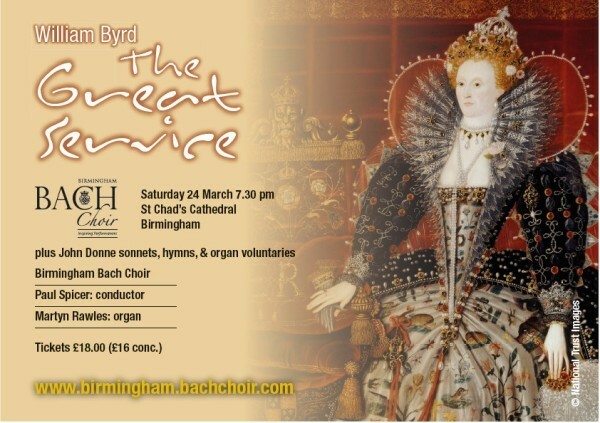 Birmingham Bach Choir Chair Sarah Platt, says: "We're delighted to present an all too rare performance of one of Byrd's greatest works - in terms of scope and ambition, it's right up there with Bach's B Minor Mass or Wagner's operas! 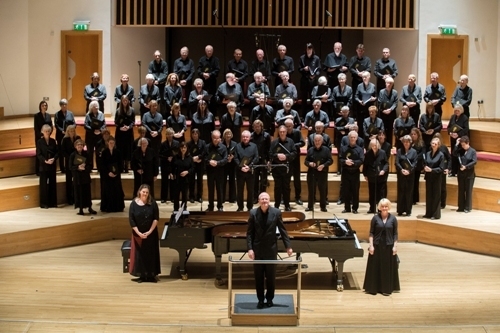 Donne's sonnets have also lost none of their power over the centuries, and we're very honoured to be joined by Archbishop Longley for this very special concert, in one of Birmingham's most stunning buildings."